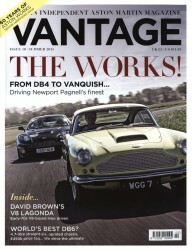 The Summer edition of the Vantage Magazine is hot off the press. 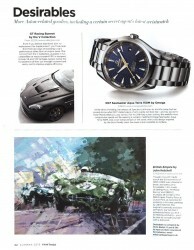 In this issue of the highly appreciated quarterly publication destined exclusively for the Aston Martin owners and fans around the world, we are honored to see our products being showcased once again, after making it into the Spring Edition as well. On the Desirables page, as an Aston Martin goody, you can find our GT Racing Bonnet, available in full carbon fibre or ready-to-paint FRP, which is designed to help V8 and V12 Vantage owners realise the full potential of their car through its prominent vents, improving engine efficiency. 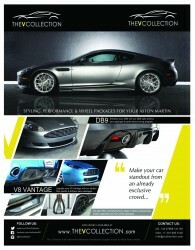 Of course, this is just one of the many desirable goodies that we offer to upgrade the looks and the performance of an already magnificent car, and our website, www.vcollection.com, is the place to visit and browse through them.